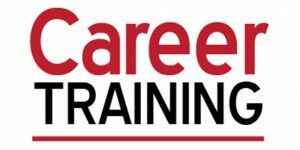 The Continuing Education Career Training program at the Sandhills Hoke campus is a perfect local resource for adult learners who want to improve workplace skills, achieve job certification or recertification, improve employment marketability or explore new opportunities. In “EKG Technician” learn required skills to become a certified EKG Technician and work in a variety of healthcare settings. Topics include cardiac anatomy and physiology, cardiac cycle, EKG strip analysis, 12 lead EKG, and EKG procedures. “EKG Technician” will be held on Tuesdays and Thursdays, Jan. 22-May 9 from 5:30-8:30 p.m. The cost is $185 plus the cost of the text. This state-certified program “Nurse Aide, Level 1” will prepare students for work under the supervision of licensed healthcare professionals in performing hands-on patient care. The course includes preparation for the State Board examination for NC NA Registry listing. Please contact Jenell Powell at 695-3965 or Lori Degre at 695-3939 for enrollment approval. “Nurse Aide, Level 1” will Lab will be held Mondays and Wednesdays, from 8:30 a.m.-2 p.m., with lab 2-4 p.m. Jan. 7-May 6. The cost is $205.50 plus the cost of the course pack. Administrative medical assistants are valuable members of the healthcare team who can handle a broad range of duties, including patient registration, telephone, scheduling, medical records, accounts receivable, data entry, and medical claims. “Medical Administrative Assistant” prepares you for the Certified Medical Administrative Assistant (CMAA) national certification exam offered by the National Healthcareer Association (NHA). “Medical Administrative Assistant” will be held on Tuesdays and Thursdays, Jan. 15-May 14 from 5:30-8:30 p.m. The cost is $255.00 plus the cost of the text. “Pharmacy Technician” is designed to prepare students for the Pharmacy Technician Certification Exam and entry-level employment. Topics include technical procedures for preparing and dispensing prescriptions, packaging and labeling, controlled substance procedures, inventory control, pharmacy calculations, and over-the-counter drugs. Upon completion, students will be able to perform basic supervised dispensing techniques in a community pharmacy setting. “Pharmacy Technician” will be held on Mondays and Wednesdays, Jan. 23-May 13 from 6-9:30 p.m. The cost is $185.00 plus the cost of the text. Learn the skills necessary to draw blood specimens in various healthcare settings and blood donation centers in “Phlebotomy Technician & Clinical Rotation.” Topics include venipuncture, specimen handling, record-keeping, and the healthcare profession. A Work Keys Reading for Information test, drug screening, background check, and current immunizations are required for registration. Please email degrel@sandhills.edu for a complete list of program requirements. “Phlebotomy Technician & Clinical Rotation” will be held Mondays and Wednesdays, Jan. 16-May 8 from 6-9 p.m., with two weeks of clinical time Monday-Friday, 8 a.m.-4:30 p.m., and four Saturday classes from 9 a.m.-3 p.m. The cost is $205.50 plus the cost of the text. A “Notary Public” is officially authorized to witness signatures on legal documents, collect sworn statements, and administer oaths. Participants must have a high school diploma or GED and no felony convictions. “Notary Public” will be held Tuesday, Jan. 29 and Thursday, Jan. 31 from 5:30-9 p.m. The cost is $75.00 plus the cost of the text. The Sandhills Community College Continuing Education team can customize courses to meet the specific needs of a business or industry, provide resources to assist in developing new training initiatives or to maintain and support current efforts. Classes can be held at convenient times for you and your staff at any SCC location, your business, or other convenient locations. For business and Career Training, contact Lori Degre at degrel@sandhills.edu or (910) 695-3939. For Industrial and Technical Classes, contact Ronnie Patton at pattonr@sandhills.edu or (910) 695-3925. Seats are still available for this class. To register in person, stop by the Sandhills Hoke Center at 1110 E. Central Drive in Raeford. You can also register by phone at (910) 695-3980. Registration hours are Monday through Thursday, 8 a.m. until 5 p.m. and Fridays from 8 a.m. until noon.